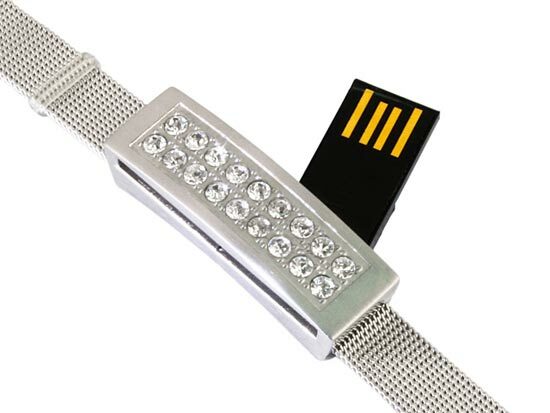 There seems to be more and more USB gadgets being released which are integrated into watches and jewellery, the latest is this USB Jewel Bracelet Thumb Drive. 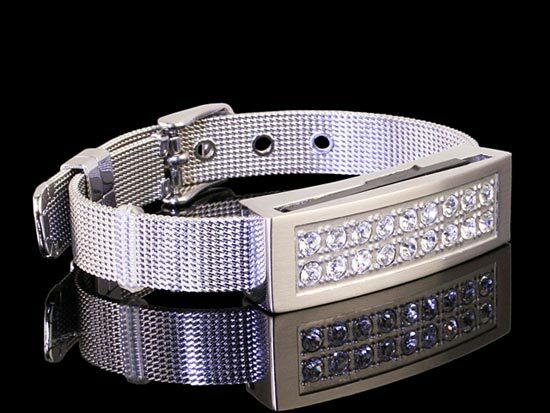 The USB Jewel Bracelet Thumb Drive comes with 8GB of storage, and features a hidden USB drive in the bracelet, it is compatible with Windows, Mac and Linux. 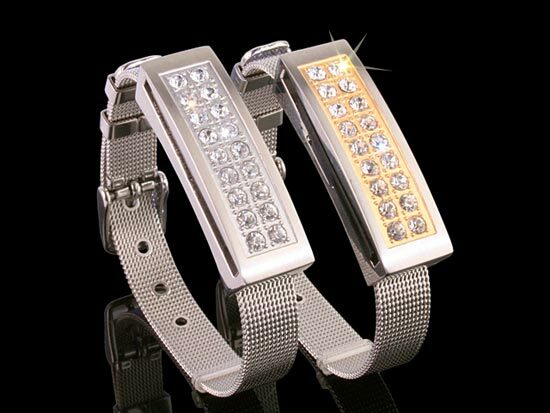 The barcelet measures 212 x 12 x 14mm and weighs 34g, and as you can see from the photos it is covered in fake diamonds, it comes in a choice of gold or silver, and is available for $33 from Brando, an ideal gift for your geeky girlfriend.